Choosing to get treatment for cocaine addiction is a courageous and important decision. Many people understand how destructive cocaine can be. However, they’re afraid to get help because they’re uncertain about drug rehab. Fortunately, learning about the steps of cocaine addiction treatment can ease these apprehensions. Cocaine is an addictive stimulant affecting the central nervous system. The drug gen erates energy and euphoria. Most people snort the powdery substance, but some smoke it or dissolve and inject it. With prolonged use, people develop a tolerance that makes them need higher doses to feel the same effects. Over time, they develop dependence. When cocaine addiction develops, people no longer have control over their drug use. Snorting cocaine becomes compulsive and they experience withdrawal when they don’t get cocaine. In addition, they may continue using just to keep from getting sick. Like dependence, addiction can be physical, mental, or both. A physical addiction means that their bodies crave cocaine. A mental addiction means they have a strong desire for its effects. Overall, most people have a harder time overcoming psychological addiction. This is because cocaine increases the brain’s dopamine levels. High levels of this chemical reprograms the brain into thinking it needs cocaine in order to function. Thus, the majority of people need cocaine addiction treatment to stop using. Thousands of facilities offer cocaine addiction treatment. People need to find treatment plans that include specific care for their needs. However, every plan should follow a general outline including detox, rehab, and aftercare. Drug treatment begins with detox. This process eliminates the toxins cocaine leaves behind in the body. However, it also involves withdrawal, which causes dangerous side effects. Examples of these include insomnia, mood swings, and suicidal thoughts. Therefore, enrolling in medical detox programs is the safest way to stop using cocaine. Doctors and nurses monitor vitals and provide medicines to ease pain and discomfort. Unlike alcohol and opiates, however, there are no medications that reduce cocaine cravings. The process takes five to 10 weeks depending on cocaine use and overall health. Cocaine users must also continue their treatment with rehab. This provides therapy to address the behavioral, emotional, and mental side effects of cocaine addiction. Residential rehab has the highest success rate for treating drug addiction. A program can last 30 to 90 days or longer. Length of stay depends on addiction severity. Furthermore, residential care provides a safe, comfortable environment for focusing entirely on getting clean. During treatment, individuals receive counseling and support with one-on-one and group therapy sessions. Behavior techniques have the most promising results, including cognitive behavioral therapy. In addition, alternative methods include acupuncture and exercise which complement traditional approaches. Continuing treatment after residential rehab is essential for reintegrating into society. Therefore, some rehab centers offer sober or transitional living programs to ease this process. Others provide outpatient care as a step-down program. Outside of these programs, people in cocaine recovery can continue their treatment with a private therapist. Additionally, support groups are also valuable because they provide a network of peer relationships. Those in recovery can turn to the group members for advice for overcoming triggers or other challenges. In addition to substance abuse treatment, Red Oak Recovery® offers mental health treatment. 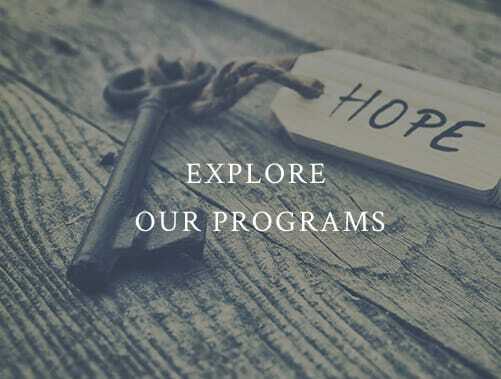 These programs include grief counseling and care for anxiety, depression, eating disorders, and trauma. We also offer adventure, cognitive behavioral, and nutritional therapies. To make sure the transition goes smoothly, we provide life skills training to prepare you for life back at home as well. Don’t let cocaine ruin your life. Ask for help so that you can rebuild relationships and plan for a better future. Call 866-457-7590 now to begin your personal, life-changing journey today.